Glenn Hughes has cancelled his co-headlining tour of Europe with Living Colour after the American band double-booked dates with Alter Bridge during the same period. The 6-week run to promote his new album, “Resonate”, was scheduled to start November 8 in Leamington, UK and run into mid-December, but now Hughes says the shows are off. “New management for Living Colour knowingly booked them onto the Alter Bridge tour although they were already confirmed for the Glenn Hughes co-headline tour, which had been on sale since April,” read the statement from Hughes. “Alter Bridge and Glenn Hughes have been long-time friends and neither Alter Bridge, their management and agents or even Living Colour's agent TKO were aware that this was taking place. “When word got to promoters that Living Colour were no longer planning to perform on the co-headline dates, they were forced to refund all tickets. 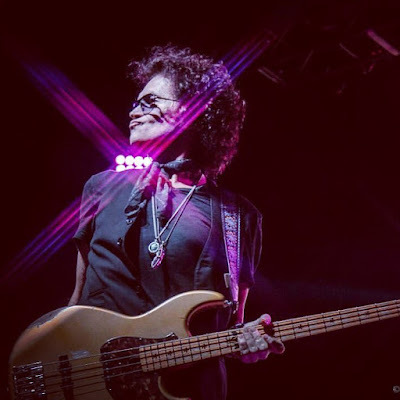 All ticket holders of Glenn Hughes' UK/European tour will be offered refunds at the point of purchase and can call the venues for more information. “I am saddened and disappointed that I will not be able to perform for my UK and European fans as I had originally intended,” Hughes adds. “When I partnered with Living Colour to do this tour, I thought we would be able to make something special happen at these shows. A list of cancelled dates can be found below. Due November 4, “Resonate” marks the bassist’s first solo release in eight years following stints with California Breed and the recently-reunited Black Country Communion.